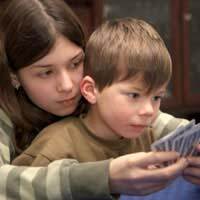 The card game Go Fish has long been popular with younger players because of its simple rule system and easy gameplay mechanic. The game can also be played with any number of differing card decks available and is suitable for two to ten players (though most would agree the best number would be around four players). Go Fish is such a simple game that it can be learnt and played by most ages quickly and easily. Out of a standard deck of cards, or specific Go Fish deck, players are dealt a total of 5 cards each. The overall idea is to make as many sets of cards from your hand as possible.Players can draw a card each with the highest going first, or this can be whoever has the next birthday or whom the players agree on. Once play begins the person whose turn it is asks another player of their choice if they have a particular ranked card the player holds; for example “Mason, do you have any jacks?” This is in the hope Mason says yes and gives any jacks she has to the player asking. Once a player has all four cards of any rank -- example all 4 jacks, these cards are placed face upward on the playing surface in front of the player placing them. If the person being asked does not have any of the cards being asked for (and they must be honest), they respond with ‘Go Fish’ and the asking player must draw the top card from the deck and add it to their own hand. If the player rids themselves of all the cards in their hand, they draw the top card from the deck and play continues until all the cards are face up on the playing area. Scoring in Go Fish is simply a matter of getting rid of as many sets of cards as possible. At the end of a game, when all the cards are face up in sets on the playing area, the sets are added up and the player with the most sets wins that round. This round can be the entire game, or if more time exists players may opt to play more rounds, in which case the winner of the most overall rounds would become the winner. The strategy on Go Fish is one of the most straight forward in card games. If it's your turn and you draw a rank you don't already have, simply remember it and ask for it on your next go. Otherwise, you can rotate amongst the ranks you already have in your hand. In some variations on the game, you may be required to remember who has what in their hand. If you have a good memory, this shouldn't be a problem. There are a few variants for the card game Go Fish. To make the game run faster, players may opt to use pairs as the sets placed face up, rather than all four of a set.The multi player rule could also be brought into account. This rule is only applied to games with three or more players and works with all players handing over the cards asked for. The new hand rule occurs when a player runs out of all cards. Rather than drawing one additional card from the top of the deck as with the normal rules, the player draws a new hand of five cards. People can also add their own house rules should they choose to in order to make the game more enjoyable for those playing.